Steve Pence has recently appeared as a soloist in the Los Angeles Chamber Orchestra’s “Baroque Conversations” series, and as Hercules in The Civil Warsby Phillip Glass with the Los Angeles Philharmonic. He is a frequent soloist with the Los Angeles Master Chorale, having recently appeared with them in Bach’s St. Matthew Passion, B-minor Mass, Magnificat andSt. John Passion and Handel’s Messiah. He has also performed solos in Bach’s B-minor Mass and Mozart’s Requiem with the Los Angeles Chamber Choir, as Elijah with the Mountainside Master Chorale, and in Brahms’ Requiem with the Orange County Choral Society. 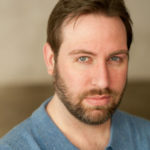 Steve has performed several opera roles, including Sharpless in Madama Butterfly with the Pasadena Schubertiad and Alonzo in Hoiby’s The Tempest with USC Thornton Opera. He created and recorded the role of Kaiser Wilhelm II in John Powell’s oratorio A Prussian Requiem.Film credits include Muppets Most Wanted, Despicable Me 2, Happy Feet 2 and Godzilla. He lives in Long Beach with his wife and son.